An introduction for everyone. 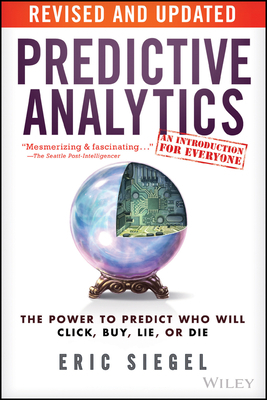 In this rich, fascinating -- surprisingly accessible -- introduction, leading expert Eric Siegel reveals how predictive analytics (aka machine learning) works, and how it affects everyone every day. Rather than a "how to" for hands-on techies, the book serves lay readers and experts alike by covering new case studies and the latest state-of-the-art techniques. How? Prediction is powered by the world's most potent, flourishing unnatural resource: data. Accumulated in large part as the by-product of routine tasks, data is the unsalted, flavorless residue deposited en masse as organizations churn away. Surprise This heap of refuse is a gold mine. Big data embodies an extraordinary wealth of experience from which to learn. Five reasons why organizations predict death -- including one health insurance company. A truly omnipresent science, predictive analytics constantly affects our daily lives. Whether you are a consumer of it -- or consumed by it -- get a handle on the power of Predictive Analytics.